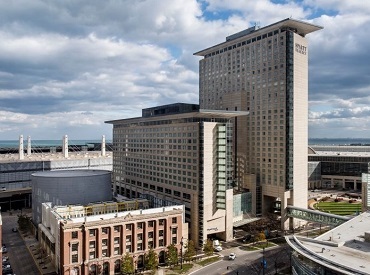 Conveniently connected to the McCormick Place Convention Center, our downtown Chicago hotel offers the ideal destination for you to work, relax and explore. Enjoy the beautiful Lake Michigan backdrop and easy access to waterfront trails. 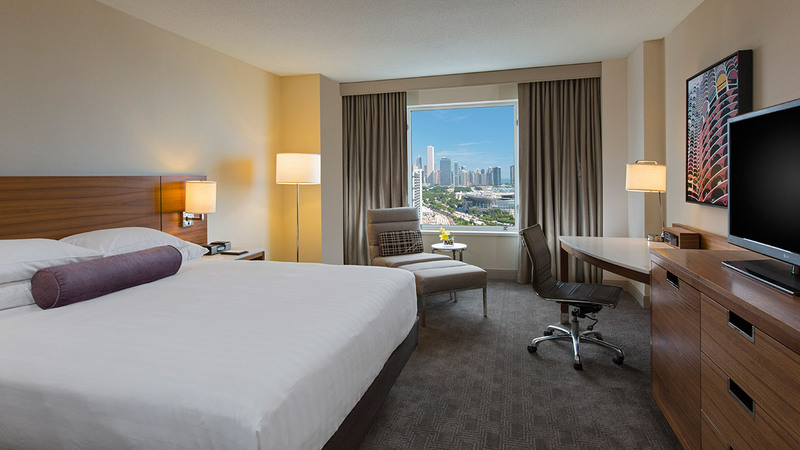 Walk just outside of our doors to discover exciting Chicago attractions, like Soldier Field, Museum Campus, Millennium Park, and shopping on the Magnificent Mile. At our Hyatt Regency 4-star hotel, it’s good not to be home. Forget your charger? Need tape or a last-minute print? No worries…FedEx Office® is here to help you with office supplies and electronics. We have an on-site, staffed location ready to assist from 7 a.m. to 6 p.m. Monday – Friday. Self-service computer, copier, fax, and printer services are also all available 24/7 via your hotel room key. FedEx Office® printing and shipping services are available. For additional services, contact your dedicated on-site FedEx Office® Event Solutions Consultant for advance planning assistance and pre-arrival printing support for your large format, high volume and specialized needs. Enhance your stay and keep active in our state-of-the-art StayFit Gym. Open 24 hours a day, this complimentary fitness center makes it easy for you to work out, have fun and stay fit in downtown Chicago. Our StayFit Gym features cardiovascular and strength-training equipment, including treadmills, chest and shoulder presses, exercise mats, and resistance bands and balls. Take advantage of our heated, indoor, two-lane lap pool located on the 4th floor inside the Stay Fit Gym. Relax for a while in our sauna as you feel your cares and the day's stress drifting away. 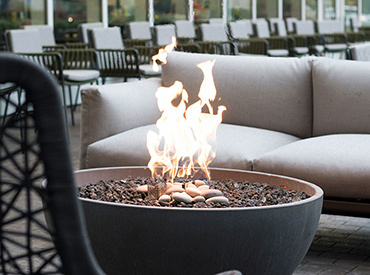 Grab a good book (or your meeting notes) and head out to our spacious sundeck to reflect, read or perfect your tan. Sixes & Eights invites visitors to taste the bold flavors of Southeast Asian street food. The a la carte menu allows you to build your own rice, ramen or pho bowl, or try one of our Chef’s Specials; making it the perfect snack or simple meal. Step right up to the counter, day or night, and take it all in – then take it all out. Boldly inventive and internationally diverse, Third Star draws its inspiration from the 1893 World’s Columbian Exposition in Chicago. Represented by the third star in the Chicago city flag, the Expo was “nothing short of spectacular”. 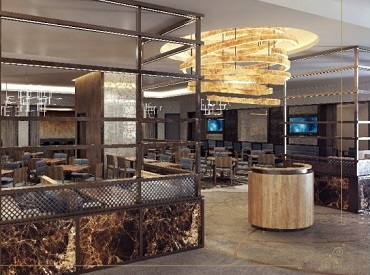 Today, with its stunning interior and flair for innovation, Third Star at Hyatt Regency McCormick Place reimagines the spirit of the Expo in its culinary offerings and sophisticated atmosphere. Like expo-goers of more than a century ago, visitors will discover an array of international cuisines presented for breakfast, lunch and dinner. In 1893, the Chicago World’s Columbian Exposition shocked the world with its demonstrations of the power of electricity. Today, glowing with thousands of Edison bulbs, Arc Bar at Hyatt Regency McCormick Place is the newest addition to Chicago nightlife. Arc Bar pays tribute to the excitement and liveliness of the Expo, but rewired today with a modern edge. The bar exudes an energetic atmosphere for lunch and dinner, which continues into the evening for craft beers and cocktails.